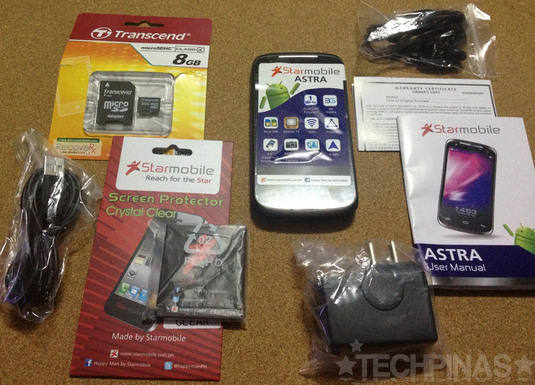 Starmobile Astra Review, Unboxing Video, Complete Technical Specifications, In The Flesh Photos, Verdict! I'll cut the drama and keep this real short: Just the seven things I like about Starmobile Astra and the one thing I sorta don't. Here in TechPinas we always tell like it is, so you best believe what I have to say about this hottie. 1. Fairly attractive design - With depth of just 10.9 millimeters and weighing only 132 grams, Astra is one of the slimmer and lighter Android handsets with a 4.3-inch display. Although lacking lush metallic accents (apart from the strip on the earpiece in front and that which lines the glass protecting the camera lens at the back), the device's subtle curves and matte finish give it an air of corporate sophistication and understated elegance. 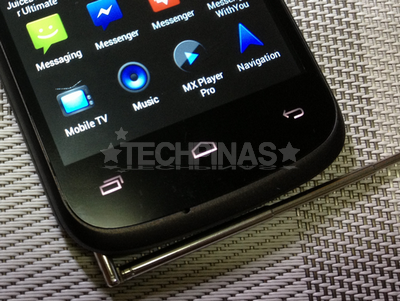 The matte finish also makes the slick device a tad easier to hold and less likely to slip from your grasp. 2. Powerful imaging capabilities - Astra boasts of an 8 MegaPixel autofocus camera with dual LED flash at the back and a 1.3 MegaPixel shooter in front. The main camera can likewise take 720p HD videos while the one above the display can shoot VGA clips and can also be used for video calls. Sure, the still camera often delivers kinda oversharpened images, but for Php 6,990, we can't really complain much, can we? 3. Mobile Analog TV - This is clearly what sets Astra apart from other Android smartphones by local brands in this price range. 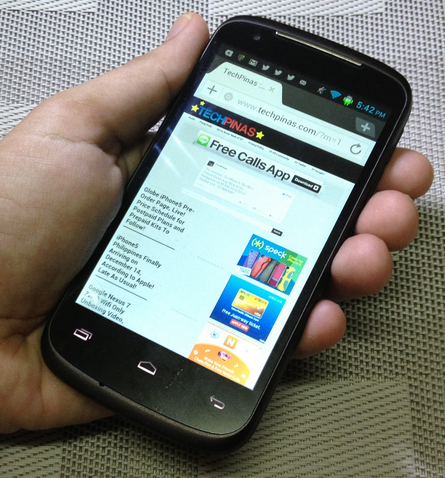 Unlike its direct competitors, Starmobile's smartphone comes with a retractable antenna (located on the lower right corner at the back) complemented by a Mobile TV application, which allows you to watch local free TV channels including ABS-CBN, GMA, and TV5. I like watching UAAP games on Studio 23 so I totally appreciate this feature when I'm out and about and there's one being broadcast live on the channel. 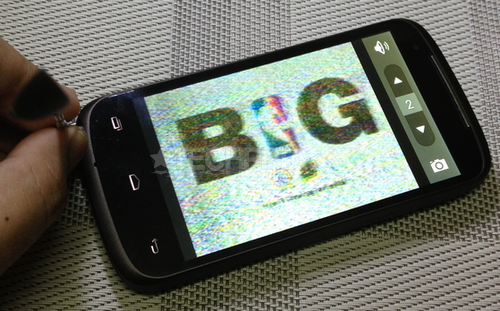 I find that my Astra handset has better reception for GMA7 and Studio 23 than ABS-CBN and TV5. When reception is bad, I hold the antenna to control the static and get a slightly clearer image. 4. Decent Benchmarks - I used Antutu Benchmark and Quadrant Standard to measure the overall performance of Astra's innards including its MediaTek MT6577 chipset (containing 1 GHz Dual Core ARM A9 processor), 512 MB of RAM, and 3D graphics among others. Quadrant Standard showed that Astra delivers superior performance when compared to previous dual-core flagship releases by giant electronics manufacturers. 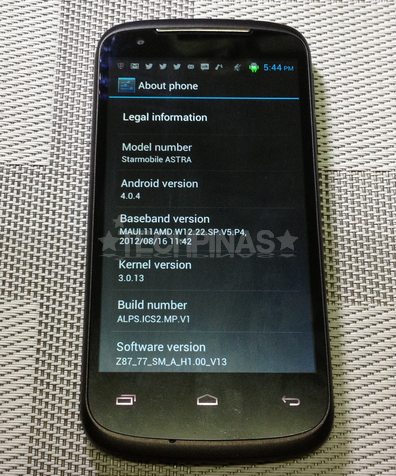 Antutu Benchmark, on the other hand, shows that Php 6,990 Starmobile Astra is in between Samsung Galaxy SII and LG Optimus 2X when it comes to the collective capability of its internal specifications. 5. Brilliant Display - IPS, which stands for In-Plane Switching, is a display technology - wherein the liquid crystals are aligned horizontally instead of at an angle - delivering better vertical viewing angles, great brightness and contrast, and near-perfect color reproduction. I tell you, it's a real treat to have this on such an affordable handset. 6. 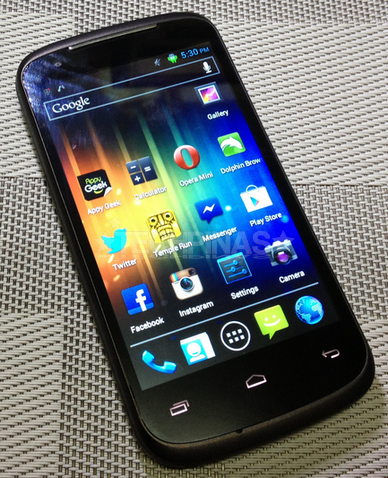 Updated Operating System - I know almost all Android fans seem to have the hots for Jelly Bean these days. I mean, everyone seems to be raving about how 'buttery smooth' it is. But quite frankly (and this is coming from someone who owns a Nexus 7 tablet running Android 4.1), Ice Cream Sandwich (at least on Astra) is almost just as svelte and as responsive to touch gestures. If you're coming from Froyo or Gingerbread, or if it's your first time to have an Android, I tell you, you'll like Astra's user interface. 7. Dual SIM Dual Standby - If you're keeping two or more mobile numbers, you can save yourself the hassle of carrying too many phones by plugging your two SIM cards inside Astra. And just like with other Dual SIM Android handsets, you get a SIM management section in the Settings where you can choose your default card for Voice, Data, and SMS among others. So what's the one thing I kinda don't find cool about Astra? Well, it's the rather short battery life. Perhaps to keep the phone slim and sleek, the manufacturer merely gave it a rather thin 1500 mAh Li-Ion pack, which - I have to say - is hardly enough to match the phone's outstanding multimedia capabilities and stellar features. I've been using Astra for a few days now and I find that I have to charge the handset every after 6 to 8 hours of regular use. (Really, it's not that horrible but as most of you know, I use Mugen extended battery packs on my phones and I have a very high standard when it comes to phone uptime.) 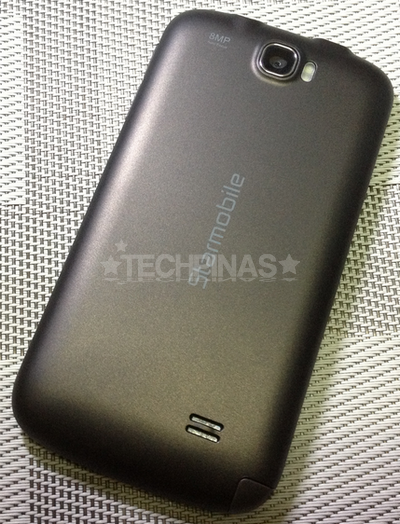 I really think that had Starmobile given Astra at least a 2500 mAh Li-Ion pack, it would have been the handset to beat in its category - bar none. But the product is already out and we can only hope that the company would release another handset with similar specs but with a far bigger battery pack soonest. You get all that - including the 8GB microSD card and screen protector - for just Php 6,990! So what's the TP Verdict? If you buy this phone, you'll find it hard to feel short-changed. If anything, you'll be surprised at everything you're getting for a relatively small amount. Had it come with a bigger battery, it would have been borderline perfect. 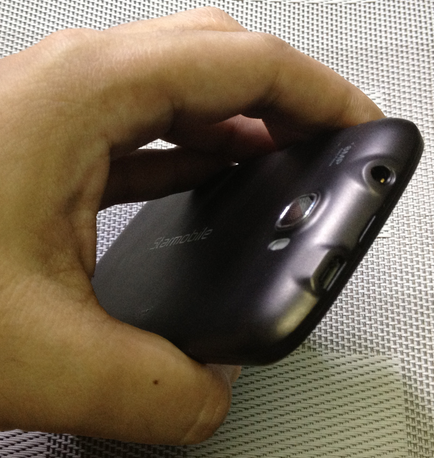 But again, when you think about its Php 6,990 price tag, you can't help but think twice about complaining. All things considered, I give it 9.8 out of 10 TP Stars. Thumbs up!